The club hosts a machine gun shoot twice a year, in February and in honor of the 4th of July of each year. This events starts at 9:30am on our 200-yard range. Targets include old cars and trucks, old washers, dryers, water heaters, and many other assorted items. Our range staff likes to get creative in selecting various targets each year. No incendiary or tracer ammo allowed. Entry fee for shooters : $20. Must be 18 years old to shoot. Spectators admission fee: $2, and children under age 15 are free with adult. You do not have to have a machine gun to participate. 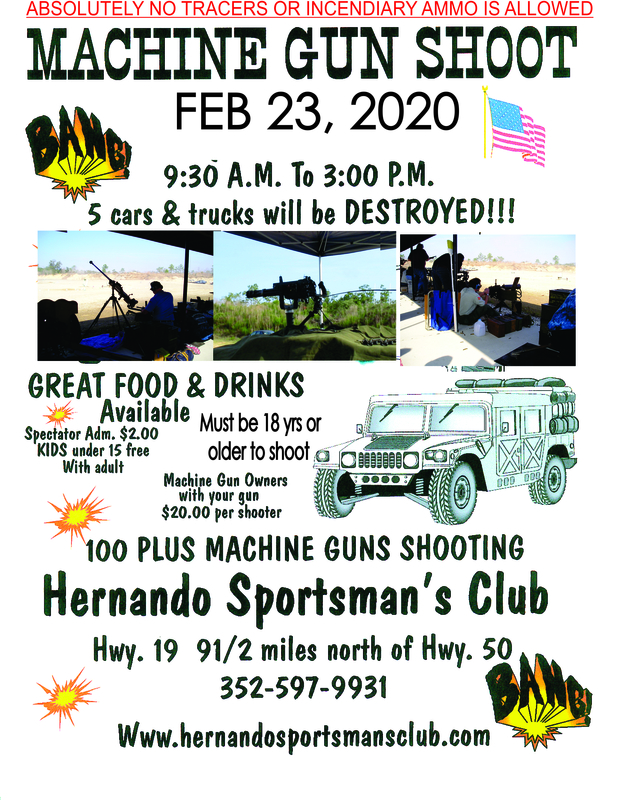 All rifles are welcome to have a chance to shoot out some old cars. This video shows what the machine gun shoot is all about. Our range officer "Little Dave" is in the video... and who is not so little. He's a wealth of info.